We are a friendly, passionate staff committed to providing quality orthodontic treatment and gentle care to patients of all ages. Upon evaluation, Dr. Sophie determines and discusses an individualized treatment plan just right for the health your teeth. 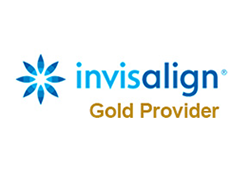 Dr. Sophie is a Premier Provider of the Invisalign® treatment, a custom made series of aligners that straighten teeth using clear plastic trays, making them virtually undetectable. An alternative to traditional braces, many of our patients select this treatment to correct and enhance their smiles. By using the most advanced technologies, Dr. Sophie and her team aim to make your experience as pleasant as possible. Each office utilizes the iTero Intraoral Scanner; the latest advancement in precision digital scans, taking the place of messy molding material to take impressions. 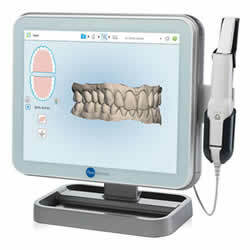 Our patients are comfortably reclined and “gag free” while the digital wand captures the arch image. Whether Invisalign aligners, orthodontic appliances, or retainers, the lab creates them in less time and the fit results are outstanding. Our pledge is to provide the best service, highest quality orthodontic work, and exceptional personal service to all of our patients and their families.